My goal as a second grade Learning Expert Teacher is for my students to develop a life-long passion for learning. I also hope they learn to appreciate constructive struggle, develop perseverance, and become self-motivated. To this end, I am committed to creating a learning environment that is safe and nurturing, and allows students to reach their highest potential. The core of the BASIS.ed philosophy is to empower students to take responsibility for their own education and help them be pro-active in their evolution as a lifelong learner. As such, every class incorporates a Communication Journal as a tool that enables students to keep track of their homework, lesson objectives, notes from teachers, and much more. However analog, this tool has proven to increase student retention and encourage students to be accountable for their learning. 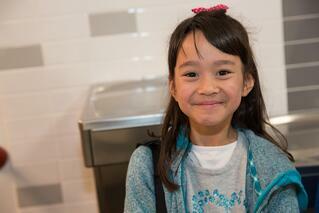 Day-in-the-Life series: Second Grade from BASIS Independent Silicon Valley on Vimeo. 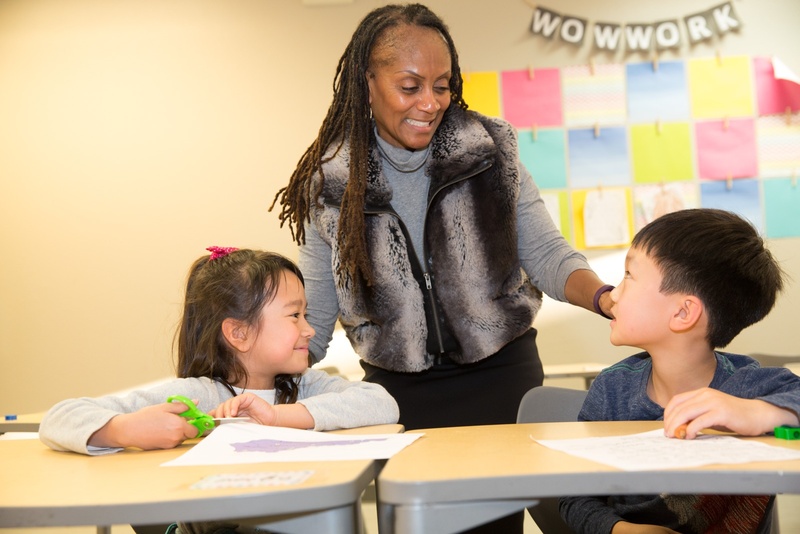 Unlike traditional elementary schools, second grade students have a different teacher for their core subjects and elective classes. Core subjects are Humanities and Math and Science and electives include Music, Engineering, Drama, Visual Arts, and Connections which are taught on different days of the week. On Mondays, the students have Music with Mr. Barbarino (Mr. B). 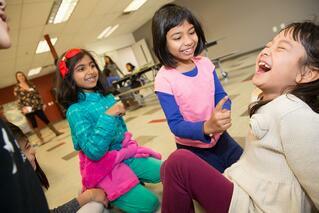 The class incorporates singing, playing instruments, and dancing to teach students how to really enjoy music. This elective class focuses on giving each student the opportunity to experience different genres of music while they discover their own musical skills and talents. The class begins with each student writing the lesson objective in their own Communication Journal (CJ). The CJ is checked by their teacher to ensure entries are correct. Then, Mr. B plays a classical piece while the students draw how the music makes them think and feel. This activity is referred to as a ‘do now’, which must be completed before the lesson for the day begins. Once this activity is complete, the scholars warm their voices in preparation for singing a selection of songs. At the conclusion of Music class, Mr. B has the students play a fun musical game so they are warmed up and ready for the next class. Next is Physical Education class with Coach Andy. All students enter the multipurpose room ready for their physical fitness training. They begin with a warm-up routine, which consists of stretches and calisthenics. Once the warm-up is complete, students learn rules for different team sports, practice the appropriate skills, and, most importantly, what it means to be a good sportsman. At the end of the P.E. class, Coach Andy gives a recap of the objective for the day. After P.E. the students have recess. During recess, second grade students learn how to play cooperatively with each other, as well as get much needed exercise outside. Next, they have lunch and recess. After lunch they attend a class call READ. 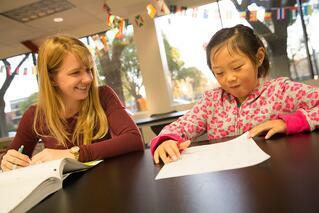 READ is a dedicated space to work with students on improving reading and reading comprehension. Depending on the day’s lesson, students might be reading independently, working with their LET in a small, leveled reading group, or working with a reading buddy from a higher grade level. Next is Humanities class with Ms. Rao. After the ‘do now’ is complete the students have a Language Arts lesson the goal of humanities is to combine traditional language arts and social studies classes. For example, students read Little House on the Prairie and then write an informative paragraph on life on the prairie. This lesson dovetails with their grammar lessons in articles and comma usage, comparative and superlative adjectives, and other parts of speech. Students will also complete units on Ancient China and the American Revolution, civics and government, writing a family legend, and much more. All their classes are cross-disciplinary and are designed to provide a unified and seamless experience. After Humanities class, the students take a recess break. Students love how hands-on Math and Science is with Ms. Small. The students take a quick fact practice quiz. This quiz is a review of learned concepts with addition, subtraction, multiplication, and fractions. Whole group instruction begins after fact practice. A worksheet is handed out and students are encouraged to solve the problems on the board. Ms. Small allows time for a question and answer period to ensure all students understand the concepts. After Math, they transition into science. Science consists of whole group instruction with lots of interactive, engaging activities. Students learn earth science as well as biology with an emphasis on animal life. At the end of the Science lesson, Ms. Small has the students reflect on the lesson objective.